Derby City Council plans to demolish the former Debenhams site in the Becketwell area of the city centre in 2019. The demolition of the former department store, which was vacated by Debenhams in 2007, will be a key milestone for this crucial city centre regeneration that has been developing over the past few years. Demolishing the former vacant site will help to remove the obstacles that have faced the regeneration and will help to create a new vibrant quarter within the city for leisure, residential and business. The Becketwell regeneration will largely contribute part of the objectives of the City Centre Masterplan that was created in 2016. A masterplan to transform this area of the city is being created in order to create a sustainable development in the heart of the city centre. The demolition and land purchase costs are being funded by Local Enterprise Partnership (LEP) D2N2 has invested £8.1million into the Beckewell regeneration as part of their work to promote economic growth in the region. 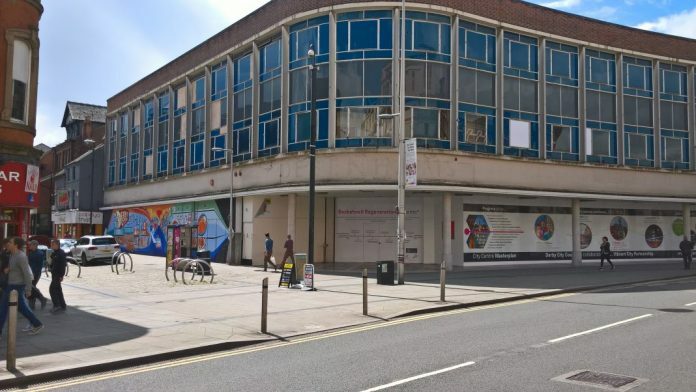 The Council began its regeneration plans in 2014 with the acquisition of Duckworth Square, followed by the former Debenhams store and ancillary properties in 2017 and more recently seven buildings on Colyear Street. Leader of the Council, Councillor Chris Poulter said: “Releasing publicly owned assets for regeneration, in partnership with a private sector developer is crucial in delivering an all-encompassing regeneration scheme for Becketwell. The demolition of the former Debenhams store will create a new ‘gateway’ to Becketwell, and is a major step in delivering regeneration of the area”. Initial site works are planned to begin in spring 2019 with the first redevelopment of Beckewell area anticipated to commence in 2020.